It’s been all go around here this week. We’ve been here there and everywhere having fun with friends and enjoying the slightly cooler weather. My lunchtime get-away hours however, have been seemingly filled with boring stuff…like tidying…grrrr. And I can’t say the place looks any tidier either which is very frustrating! 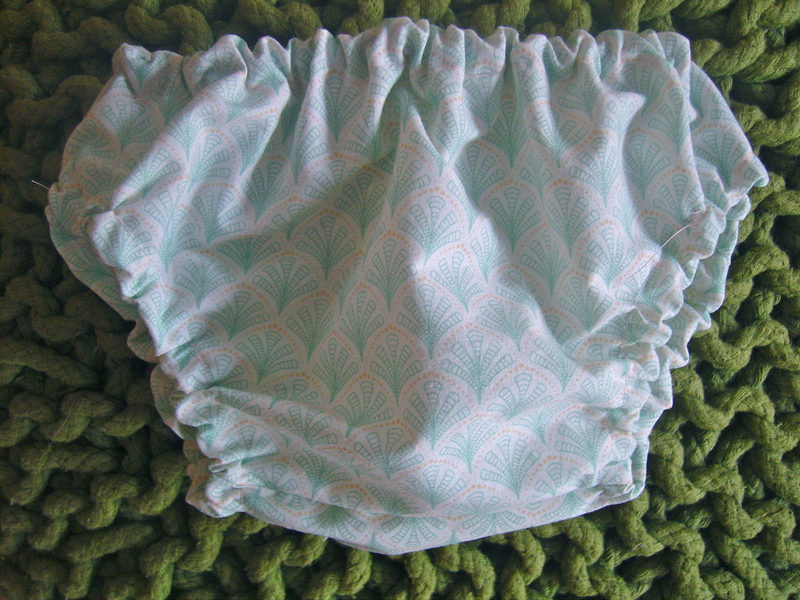 Anyway, yesterday I made a pair of pretty pants for Molly’s friend Esme to go with the dress that I made her. I made her dress a little more open at the back to allow for a bit more leg movement, but she definitely needed some pants to match. Why are nappies so ugly? They’re always covered in garish prints and colours and ENDLESS pictures of sesame street characters. Needless-to-say, I made the pants and forgot to take a pic. But never fear…Molly needed a pair for her dress too! Perfect for this kind of on-the-bed wriggling! 13 Jul	This entry was published on July 13, 2012 at 4:42 pm and is filed under Uncategorized. Bookmark the permalink. Follow any comments here with the RSS feed for this post.